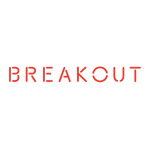 PLANO, Texas–(BUSINESS WIRE)–Breakout Games is opening an Escape Game experience in the Plano area. by cracking codes, solving puzzles and following clues. excited to share new experiences with the Plano area. trailers on each room and book a game, visit https://breakoutgames.com/Dallas. off for the opening two weeks using the promo-code “grandopening”! quo, team building and family outings should be enjoyable, not dreadful. Lock yourself in our rooms to escape into a new world of fun.